Becoming a Big for BBBSMMC is an important commitment that can positively impact a child’s future in several ways. Having a mentor to look up to can make a huge difference in a child’s outlook on life. This month, we are celebrating Kemar Phillips, who believes that providing companionship to a child in BBBSMMC helps make them feel empowered and confident in their everyday lives. 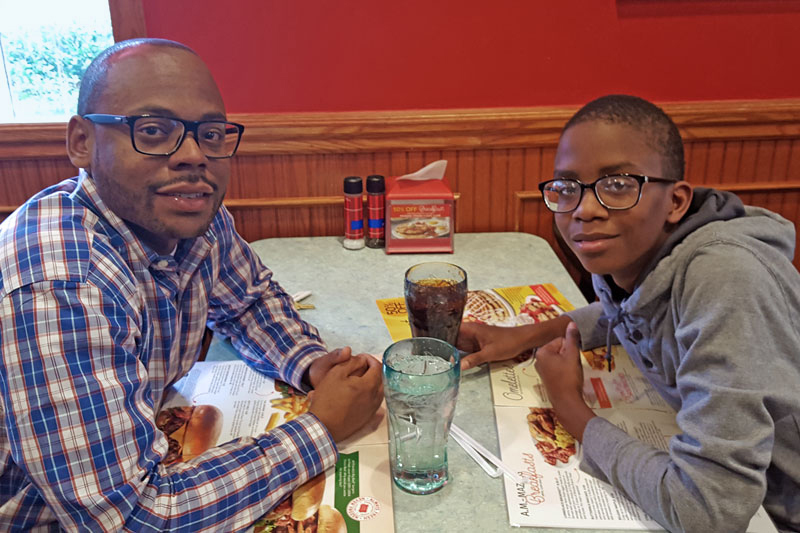 Kemar and his Little Zion have been matched for three years, building a strong and positive relationship together while Kemar provides mentorship and balance for Zion in several aspects of his life. We talked to Kemar about his experience as a Big and why he believes that becoming a Big in the BBBSMMC’s program is so important. What prompted you to want to become a big? I wanted to become a big because I felt a strong need to reach back and uplift someone else. I knew how important it was in my development to have positive role models in my life, so I wanted to be that for someone else. How long have you been participating in the program for? What has been rewarding about being a big? The bond that I’ve developed with my Little, and the joy in seeing him grow and develop into a young man. I genuinely look forward to our get togethers. What has been challenging about being a Big? Making sure the advice I provide to my Little is applicable to his current needs and resonates with him. This sometimes requires creativity in how lessons are delivered and taught. What advice would you give to people considering becoming mentors? Make sure that you can commit the time to the program, because if you want to be impactful you have to commit the time. What has been your favorite outing with your Little? My favorite outing was an on campus visit/tour of Rutgers University with my Little. I felt this visit made college “real” for my Little, and provided him with inspiration. How do you feel your relationship has impacted your Little? I think my relationship has positively impacted my Little. I can tell he appreciates my time and devotion to the program, and values the time we spend together and the counsel and mentoring I provide. What has it been like to work with BBBSMMC? It has been a pleasure working with BBBSMMC. They do an amazing job providing the support and resources needed to ensure the Big/Little relationship thrives and results in a rewarding and positive experience. What surprised you the most about being a part of the program? The strong level of commitment the staff has. It’s obvious that they are passionate about what they do, and they each care about the mission of the program. Give your time and sign up to be a Big! Apply here: www.bbbsmmc.org/apply-now.